KBRITE is the Southland’s longest standing Christian radio station. Our broadcasts honoring God and Country have reached across Southern California for more than 38 years. We seek to educate, motivate and activate our listening family to add positive, practical action to our Christian witness and patriotism. KBRITE brings our extensive family of listeners rich sermons, godly encouragement, Bible questions and answers, and current events with a Christian worldview. We see our call for the future partly in the roots of its past. Pioneer Christian broadcaster Percy Crawford brought the gospel to millions in the 30s and 40s on radio and TV – including a top-rated evangelism-oriented program on NBC. However, in the 50’s Percy Crawford watched as more and more ministries were denied access to network airtime. Seeing the writing on the wall, he began Crawford Broadcasting to buy his own stations to continue preaching the Gospel without interference or censure. KBRITE was added to the Crawford Broadcasting family in 1980 to offer God and Country-honoring programming into Los Angeles, Orange County, San Diego, and the Inland Empire. 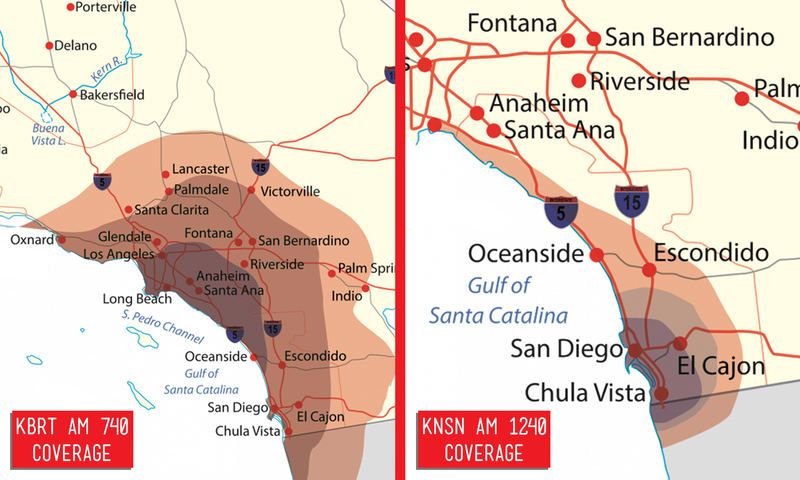 In 2014, we added AM 1240 to the family, reaching an even broader section of San Diego.